My Final Blog Post | the best is yet to come. It has been a little over a week since I left Hong Kong and returned to the U.S. I have been resting in order to get over my jet lag as well as spending time with my family in Florida. Before I head back to school in a few weeks I want to finish up my blog about Hong Kong. So here is my last blog post about my final week in Hong Kong. My last full weekend in Hong Kong was amazing thanks to my wonderful friends. 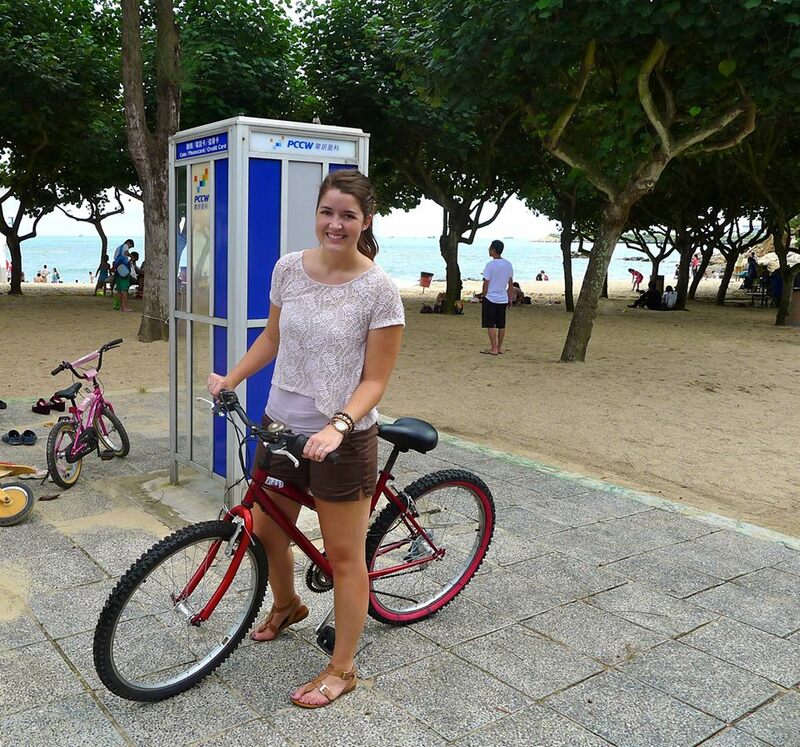 On Saturday we planned a relaxing day exploring Lamma Island. It is the third largest island in Hong Kong and is roughly 30 minutes away from Hong Kong Island by ferry. Even though the island is large was not as crowded as some of the other islands we had explored like Cheung Chau. 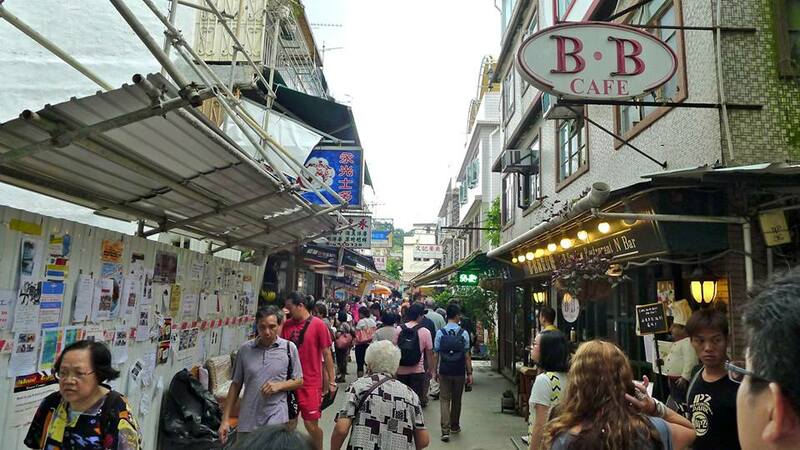 As my friends and I walked down the main street we noticed all the quaint stores and eateries. The town that the ferry dropped us off at was such a nice change of pace from the hustle and bustle of Hong Kong Island. After perusing the stores for souvenirs we decided to eat. Unfortunately we didn’t have much of a choice in where we at because it started to rain and we ran to the nearest place to eat. We ended up eating a great brunch that helped us all power through the day. Since we were just taking it easy we decided to rent bikes for the rest of our time on the island. Even though the bikes we not in the best condition they got us to where we wanted to go. I used the bell on my bike to alert the foot traffic to get out of the way as I rode the bike to the beach. My friends and I took some time to explore the little inlet that had a beautiful sandy beach and picturesque rock formations around it. We sat on the rocks for a while and soaked up the beauty that was around us. In those moments I thought about traveling home the next Saturday and how different things were going to be in just a short week. It was hard for me to wrap my head around going home. I never feel like I am leaving a place until I am on the train or in the plane home. So in that time on the rocks on Lamma Island talking with my friends about the upcoming school year and our flights back to the states I felt my mind wander. I looked at the waves crashing on the rocks and I realized that the next time I would visit Asia probably wouldn’t be for a long time and that made me sad. But everything that has a beginning also has an end. 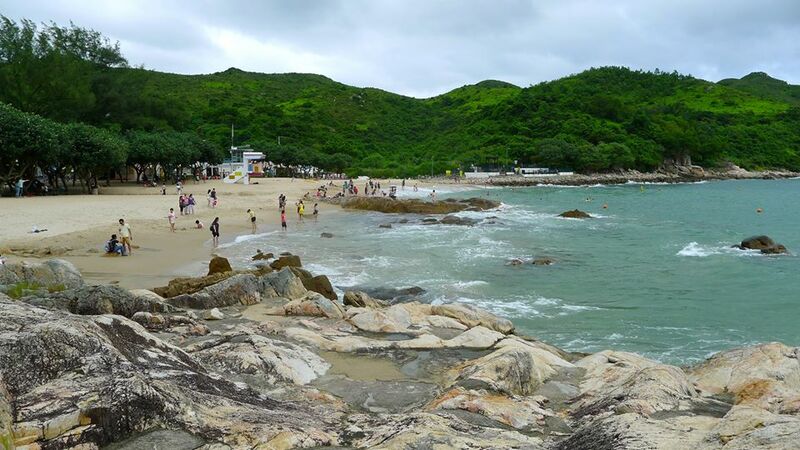 The time I spent chilling on the rocks at Lamma Island was great for me to reflect on the journey I had experienced the past eight weeks and what was to come once I left. We left the island in the late afternoon so we could go home and freshen up for dinner that evening. 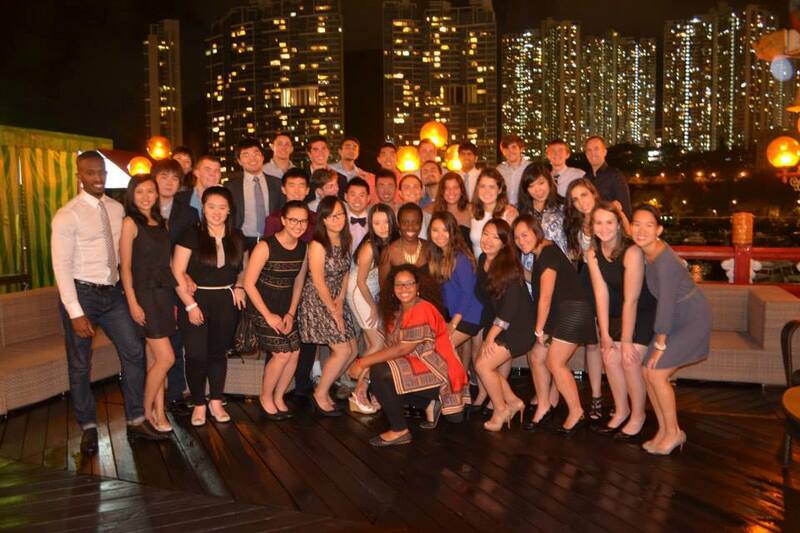 Dream Careers hosted a going away dinner at Top Deck at the Jumbo Floating Restaurant. Everyone was told to dress to impress so we knew that diner would be good! The dinner was a wonderful buffet and everyone helped themselves to seconds. The evening was one of the last times that everyone in the program was together before we all flew home. We all took photos together and it was kind of bittersweet. It is amazing how close we all became in such a short period of time. I already knew I would miss everyone that was in the program (regardless of how close we were because everyone made the program the experience that it was) but the dinner really solidified how much we had al grown and that we all shared a common bond – that we were interns for eight weeks in Hong Kong during the summer of 2013. It is hard for me to put into words how amazing my last Sunday in Hong Kong was but I will give it a go! I really think my friends and I saved the best for last because Sunday we spent the day at the infamous Ocean Park. All the locals love the park and it was easy to see why. 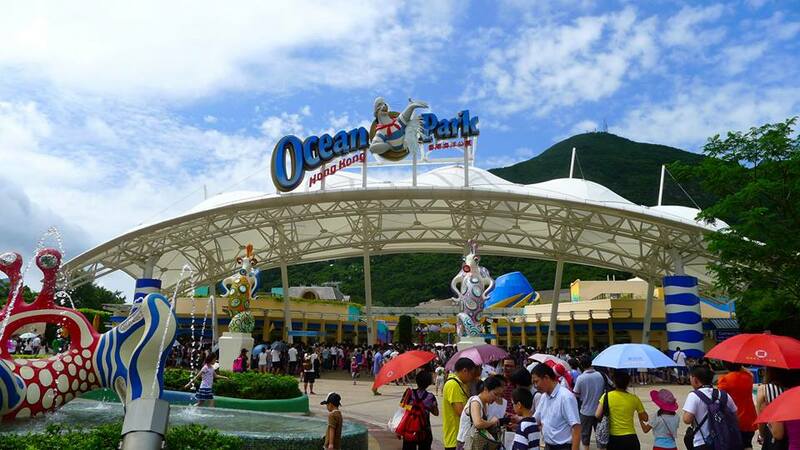 Ocean Park is a marine mammal park, animal theme park and amusement park. It opened in 1977 and has grown to about 35 attractions and rides. It boasts the award for The World’s Seventh Most Popular Amusement Park and has a larger amount of visitors than Disneyland Hong Kong. The park is separated by a large mountain into two areas, The Summit and The Waterfront. 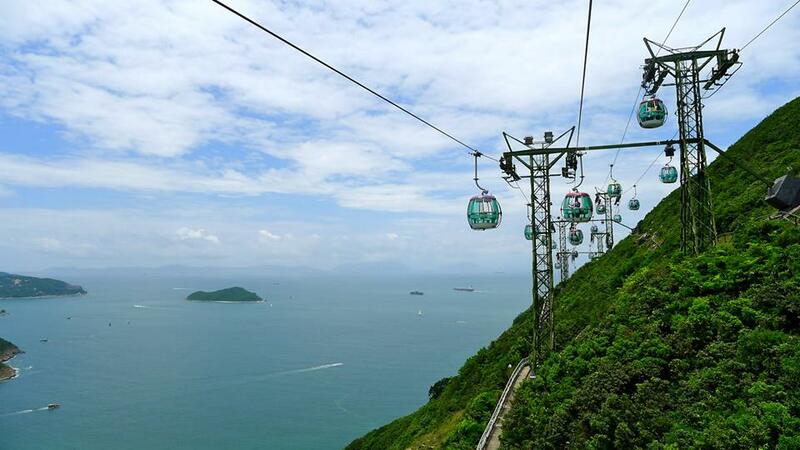 Cable car system, shuttle bus, or the Ocean Express railway that goes under the mountain can reach the areas. 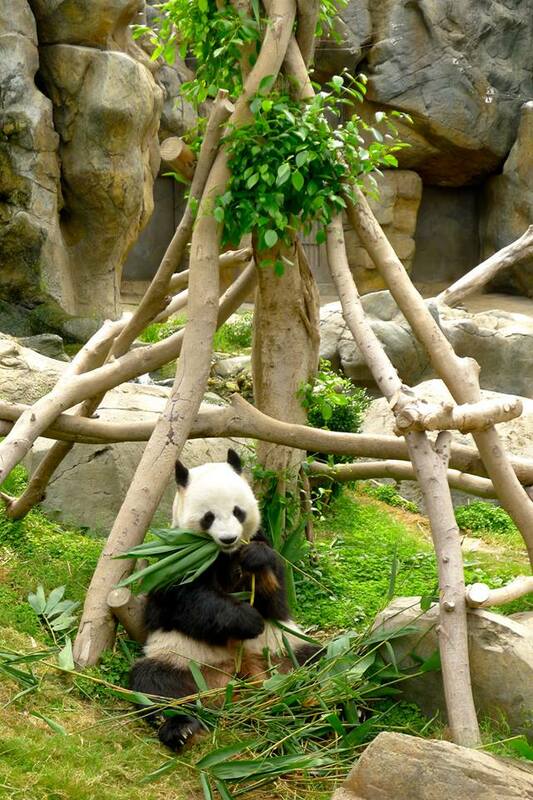 One of the first things we did at the park was visit the panda exhibit featuring Le Le and Ying Ying. The pandas are famous because they were a gift from the central government of Mainland China to mark the 10th anniversary of Hong Kong’s return to Chinese sovereignty. The pandas were much more active than the pandas we saw in Beijing so I was able to get some really cute photos. After seeing the pandas we took the cable car to the other half of the park. The view from the cable car was stunning! Once at the other side of the park we headed over to the dolphin exhibit. 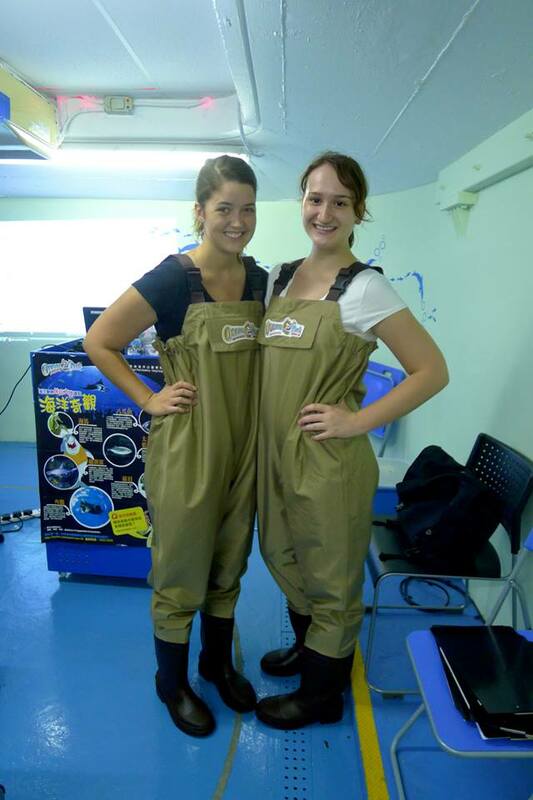 Lauren and I paid to participate in the dolphin encounter and we didn’t want to miss it! Landon and Andrew dropped us of and went to ride some rides before meeting up with us later. Lauren and I were extremely excited to see the dolphins and to actually interact with them! We met up with a group of people who were equally as excited as we were and we geared up to go into the water with the dolphins. 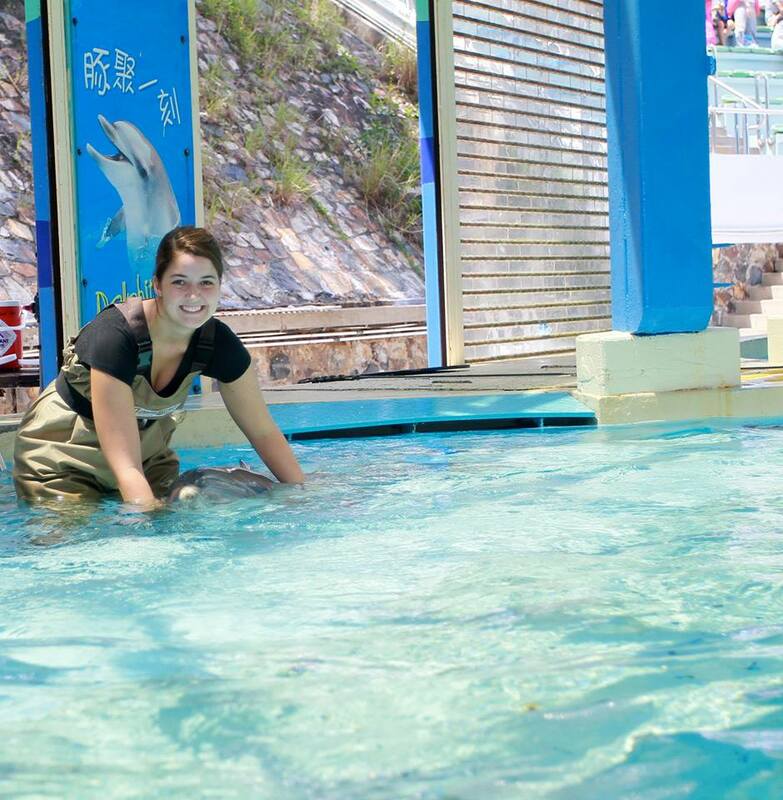 The dolphin encounter was a bilingual session because everyone else in our group spoke Cantonese. We learned about the dolphin’s anatomy and other fun facts. For example, bottlenose dolphins can make music, squeaks, and whistles by opening and closing their blowholes, which is also where they breathe in air. We also learned that female dolphins give birth every two to three years, normally one calf after a pregnancy of one year. The calves are born tail first so they don’t drown. 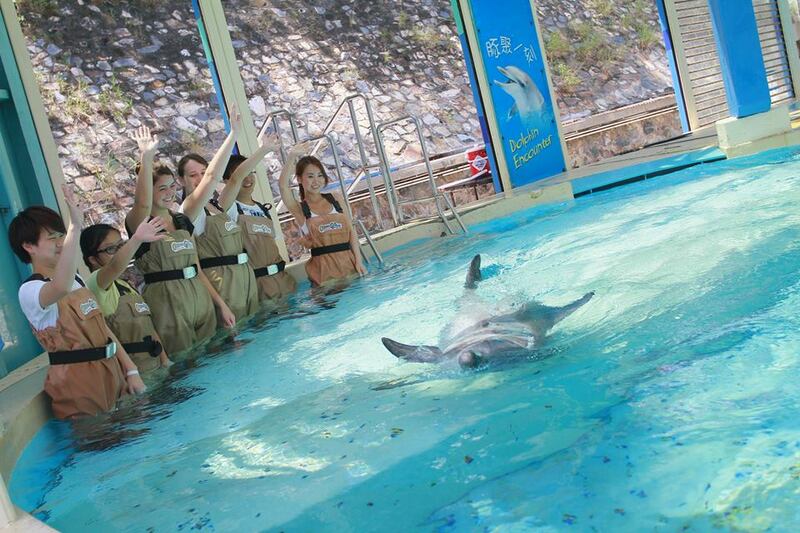 After learning about the dolphins we were able to go in the water with them! We interacted with two bottlenose dolphins. We fed them fish and had them make music for us. It was a blast! Once our dolphin encounter was over we were able to get really good seats to the dolphin and marine animal show. Walking out after the show Lauren and I ran into a group of Sisters of Mother Teresa. Since we are both Catholic we immediately recognized their attire and said hello to the sisters. They seemed surprised to see two young Caucasian women so far away from their home. 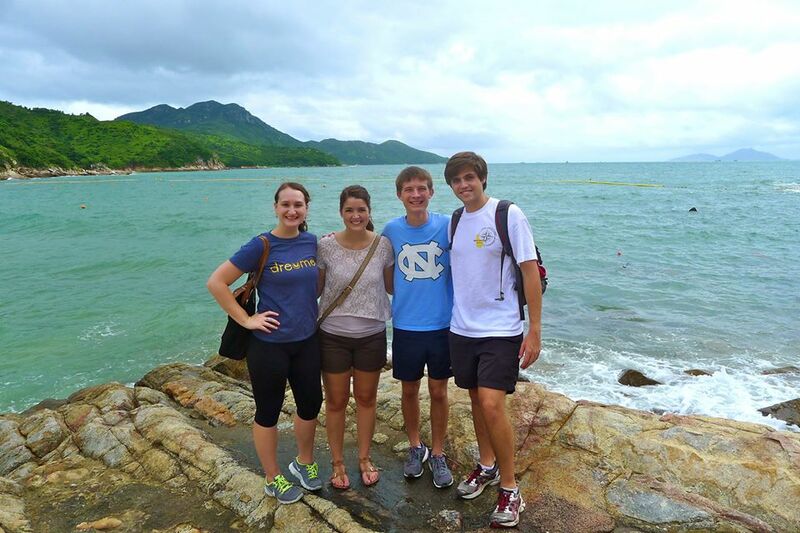 We explained that we were interns in Hong Kong and they commended us for being so adventurous. We asked why they were at Ocean Park and they said they brought a sister from Rome who was visiting. Then they asked if we had eaten lunch yet and when we said no they opened their bags and gave us some snacks. It was impossible to refuse their generosity. We met up with the guys after the show and immediately went to go on some awesome rides! Now I am not a huge roller coaster person. I like them but if my feet dangle or if the coaster goes upside-down I am less inclined to ride the ride. Lets just say Lauren, Landon and Andrew love every kind of roller coaster and had no problem getting in line for all the crazy rides. Late in the afternoon there was a rainstorm and many people left the park. We were used to the rain and waited for it to blow over so we could continue to enjoy the park. Good thing we did because the rides were still going despite the rain and we didn’t have long lines! 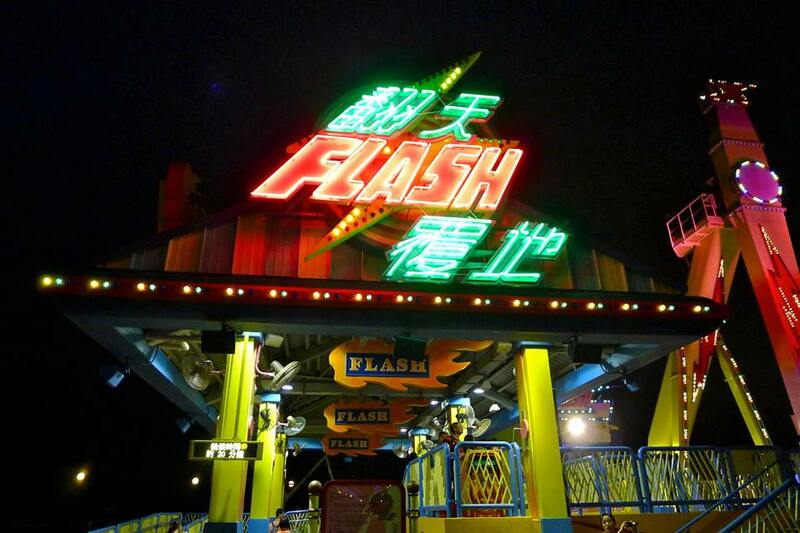 One of the crazy rides I went on was called The Flash. By the time we got in line it was already dark outside and it was drizzling on and off. I thought the ride looked innocent enough until I realized it spinned around and flipped me upside-down! Once I was buckled into the ride it started raining again and I knew it was going to be a ride I wouldn’t forget. I screamed and screamed but after it was over I was glad I did it! 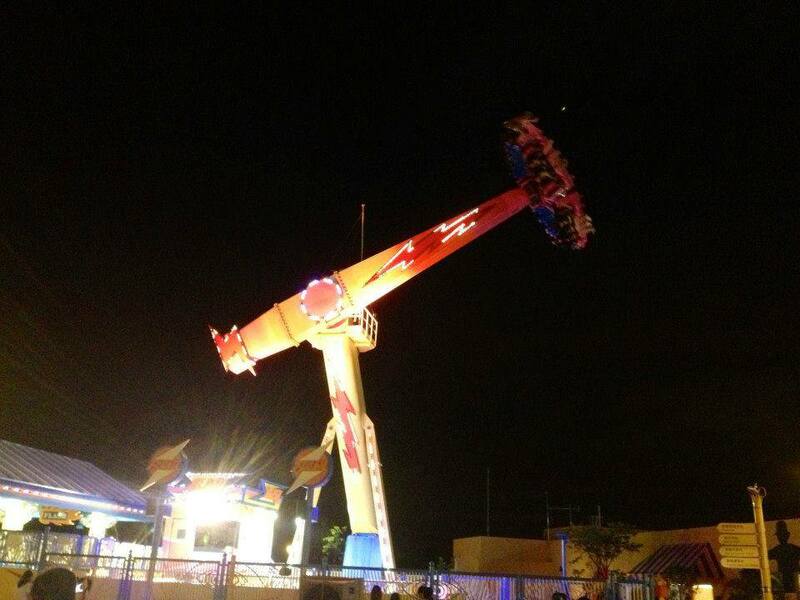 It was an accomplishment that I faced my fear of my legs dangling on a ride and flipping me upside-down! The last ride we went on was called the Hair Raiser. The ride was the largest one in the park and it went upside-down a few times! Since there wasn’t a crowd we ended up riding it three times, twice in the front row in the pouring rain. The best part was seeing the beautiful Hong Kong skyline right before we plummeted down the first drop. After we rode the Hair Raiser we went to the sea lion exhibit. The exhibit was pretty empty because it was the end of the day. We were able to get up close and personal with one of the sea lions. He was so cute and friendly that we gave him the name Chester. We were amazed that he swam up to us and stayed on the other side of the glass for so long. Leaving the park was saddening because I knew I would probably never have the opportunity to go back again. 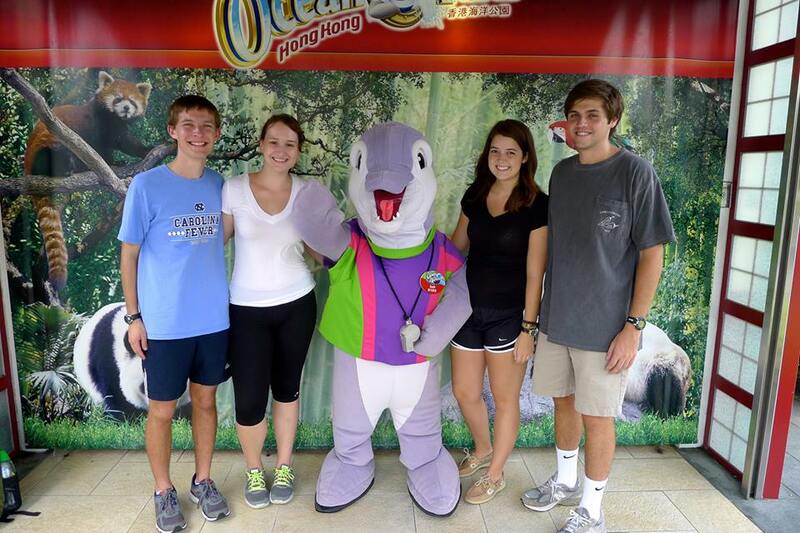 I had such a fun time at Ocean Park and hope that someday I get the chance to go again. My last day of work at my internship was July 31st. I felt very accomplished when I left especially since I received a lovely letter of recommendation from my boss. Working 40 hours a week was something I had never done before and the experience gave me a new outlook on work. Since I was done with my internship I had time to do a few things before my flight back to the states on Saturday morning. Thursday was a relaxing day. Lauren, Landon and I spent the morning and afternoon shopping. We went to the Ladies Market, which consists of over 100 stalls of bargain clothing, accessories and souvenirs. Lauren and I found a store that sold purses and wallets that we had seen women carrying all over Hong Kong all summer! The brand caught our eyes because of the name. The name of the brand is Salad and we thought it was hilarious. We asked the salesman why the brand was named Salad and he said it was because you can mix and match the purses and wallets just like a salad. We also learned that the brand is exclusive to Asia with stores in Hong Kong, Beijing, and Shanghai. After taking our time looking at all the merchandise Lauren and I both bought nice high quality Salad wallets! That evening Andrew, Lauren, Landon and I planned to go out to LKF, Hong Kong’s premiere dining and entertainment area, but somehow we ended up hanging out in my room. We had all been going and going everyday so to just relax at home with friends was great. We sat around laughing and watching funny YouTube videos. Landon and Andrew showed Lauren and I some videos about their school UNC. Ever since I met Landon and Andrew they talked about their school and its sports teams. I didn’t know anything about UNC before I met them and now I know that UNC is a great school with an amazing basketball team with great fans. Sharing a little bit of our home states with each other was a great way to end the week and become even closer friends. My last day in Hong Kong was jam packed with things to do. In the morning we had planned to explore Ten Thousand Buddhas Monastery. Unfortunately, the rainy weather changed our plans. We went and saw the new Wolverine movie instead. It was a good movie and it was a nice change of pace to just sit and relax. After the movie I packed some of my stuff and got ready to go for afternoon tea with Lauren. 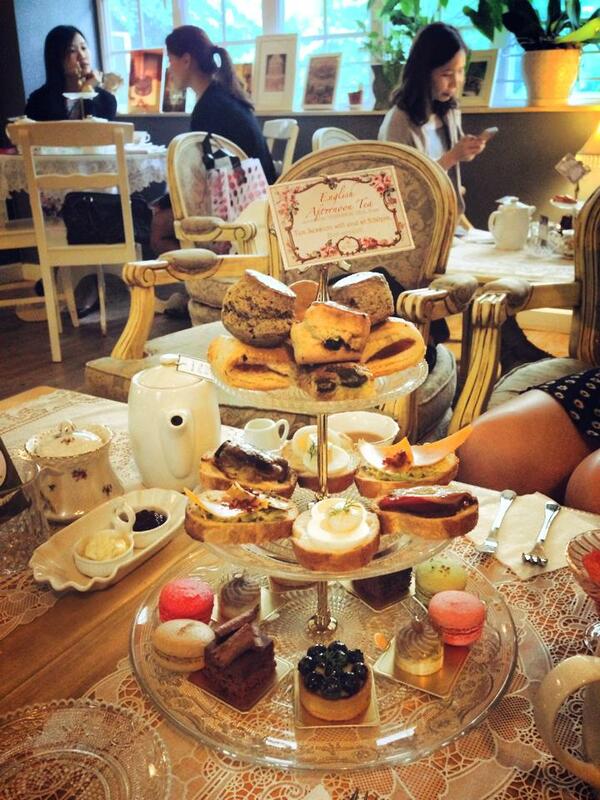 We went to The Tea Room by Antique Patisserie for an afternoon of tea and cakes. We chose this after having seen some cute pictures online. Well, we were most certainly not disappointed! 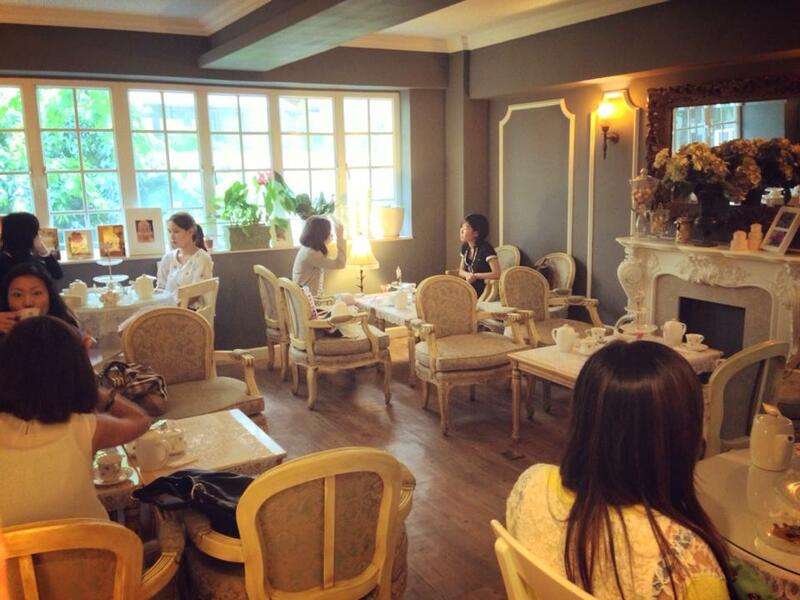 A 16-seat salon at Antique Patisserie is all girly girls could hope for: French décor, laced tablecloths, flowery tableware, and well-kept details make this place one to be remembered. Upon arrival at the venue, our first delightful surprise: Antique Patisserie has about 40 teas to choose from, and they bring the samples of all of them to your table for you to smell and choose! 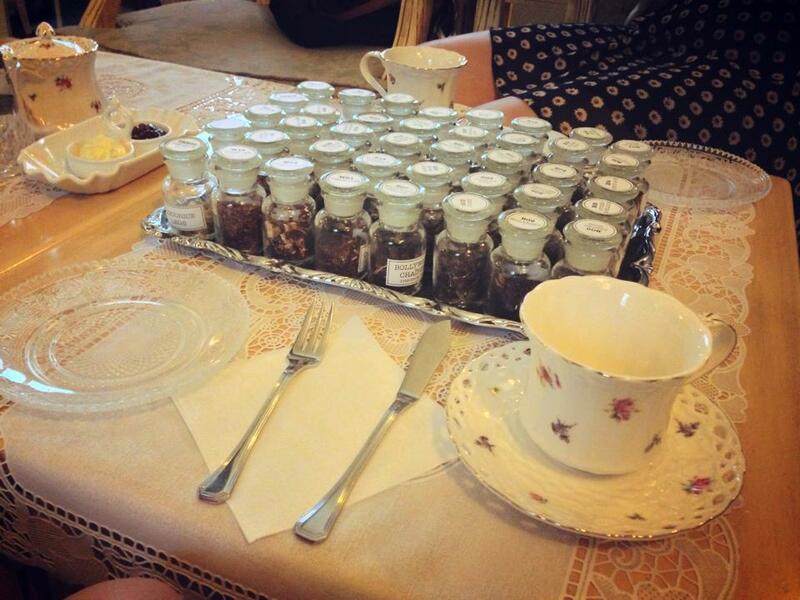 They accompany this with a detailed description of each of the teas, so that you make sure to choose the right one! I chose the Hanami Imperial Cherry Blossom, a tea with sakura flavoring (cherry blossom), and pale rose petals. It was delightful! Lauren chose a chai tea from India. Once we had made our tea choices, we were served a cup of refreshing small watermelon balls. Soon after, our teas arrived and so did our three-tiered Traditional Afternoon Tea set. The waitress provided a nice explanation on each of the products in our set. On the top layer we had 4 scones: 2 earl-grey scones, 1 raisin scone and 1 plain. There were also 4 puff pastries, 2 filled with sausage and 2 with spinach. The scones were served with butter and jam. On the middle layer were the savories, consisting of 6 toasts: 2 egg and mayo, 2 pork and 2 avacado with cedar and bacon. The bottom layer was my favorite. It came with the sweet treats, namely 4 different macaroons, 2 chocolate cakes, 2 pecan mouse cakes and 2 fresh blueberry tarts. I loooooved the blueberry tart and I probably could’ve eaten more than just one! My only complaint is the fact that no hot water refill was offered to us during the whole time. I loved my tea and would have loved to drink more than just what I had. That evening Lauren, Andrew, Landon and I all went out to dinner in LKF at Lily & Bloom. Getting to dinner wasn’t as easy as it should be because there was a typhoon going on all day. It was a level 3 typhoon so we just had to deal with some wind and heavy rain. We arrived safely at the restaurant and we were pleased with the atmosphere. We each picked a glass of wine to celebrate. It was a great night to reminisce on the amazing summer we had experienced. Our food was amazing and we even got desserts. We shared some of our favorite memories from the summer and at that moment I thought about how much I appreciated having such great friends to experience Hong Kong with. I couldn’t have asked for a better group of friends to be with over eight weeks in a foreign country. We did a lot together and really made the most of our time. Dinner at Lily & Bloom was a great way to end our journey together. All of them will be in my memories and photographs forever. Saturday was the day I flew back to the United States. I woke up really early to catch my taxi at 6:30am. Landon was nice enough to wake up and help me get my entire luggage downstairs and into the taxi. I shared a taxi with another friend of mine, Kristy, whose final destination was Iowa. We were on the same flight to Chicago. We arrived at the airport early so we could relax and get a good breakfast before our flight. Many other Dream Career participants were on my flight as well. It was great to know that people I spent the last eight weeks with were traveling back with me so I didn’t feel alone at all. On the 13.5 hour flight to Chicago I was able to watch some movies and reflect on my eight weeks in Hong Kong. Thankfully I got a few hours of sleep before landing in Chicago. One of my best friends, Lydia, picked me up from O’Hare International Airport. My flight to Orlando wasn’t until the next morning so I was able to spend some time with two of my best friends. Lydia took me to Chipotle for lunch and it was soooo good! I had been craving Chipotle all summer! She then took me to campus so I could checkout her dorm room which is right next to mine. I wasn’t able to see my dorm room yet so seeing Lydia’s room gave me a good idea what my room would be like for the upcoming school year. Later that night Lydia and I met up with our friend Kelly at Panera. It meant so much to me to see both of them and have such a warm welcome back to the states. The next morning I woke up at 4:30am to catch my early flight to Orlando where my parents are now retired. My time in Hong Kong was a journey of a lifetime. I still can’t believe that I was halfway around the world for such a long period of time! It took a while to get over my jet lag but I think I am back on schedule. One of the best parts of being home is being able to connect with friends and family. I don’t have a 12 hour time difference getting in the way of talking to people I care about. Being home and getting ready for my last year of college has been a whirlwind so far. Going into this year I have a renewed sense of confidence in my degree and myself. I believe I am taking the right steps to have a successful and happy career after college. 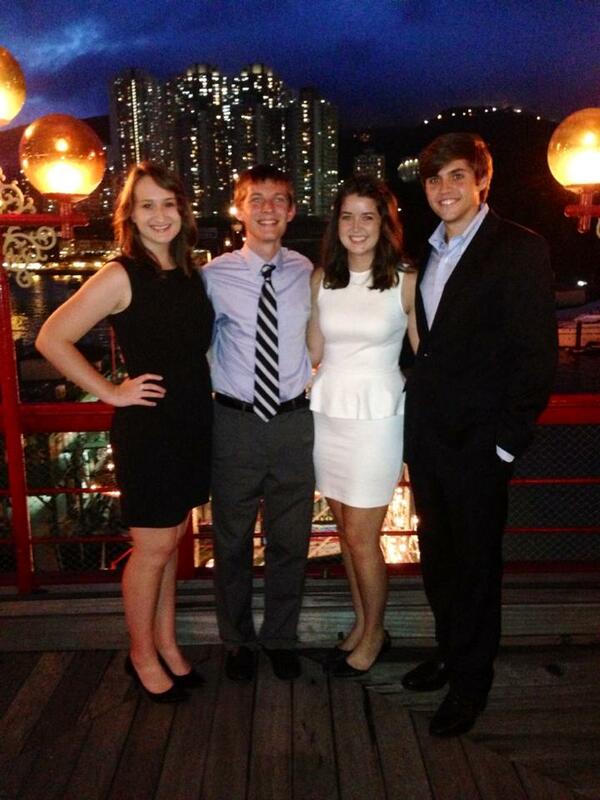 My time in Hong Kong helped clarify what I want to do after graduation and what I really don’t ever want to do. Right now I still plan to commit a year to serving others after I graduate. I really want to work with refugees but I will go where I am needed. Thanks everyone for following my journey! I spent a lot of time on my blog posts and I appreciate that you took the time to read them! Please don’t be shy to ask me questions about my time in Hong Kong! I would love to reminisce and talk about it. Great post! Loved every minute of our adventures!